Musings of a Menopausal Melon - mmm! quilts: Cheerio! Our March challenge as Island Batik ambassadors was to take a vintage quilt or quilt block and reimagine it with a modern flair. 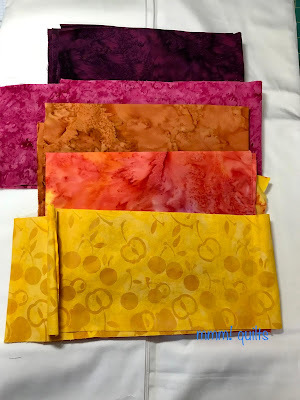 All of the fabrics were provided to me by Island Batik. As soon as I saw my Batik Foundations stack, I thought ahh! Sunset! After doing my February challenge in beautiful blues, I thought hmm, maybe go for some warm colours. 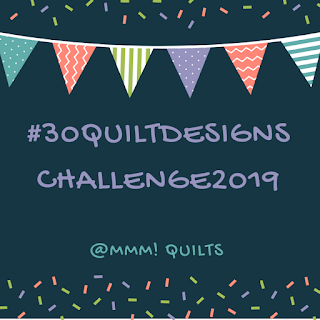 Enter the 30 Quilt Design Challenge I am hosting again, and my first design, which I sketched before 'cottoning on' (pun not originally intended) to the basics stack for this project. 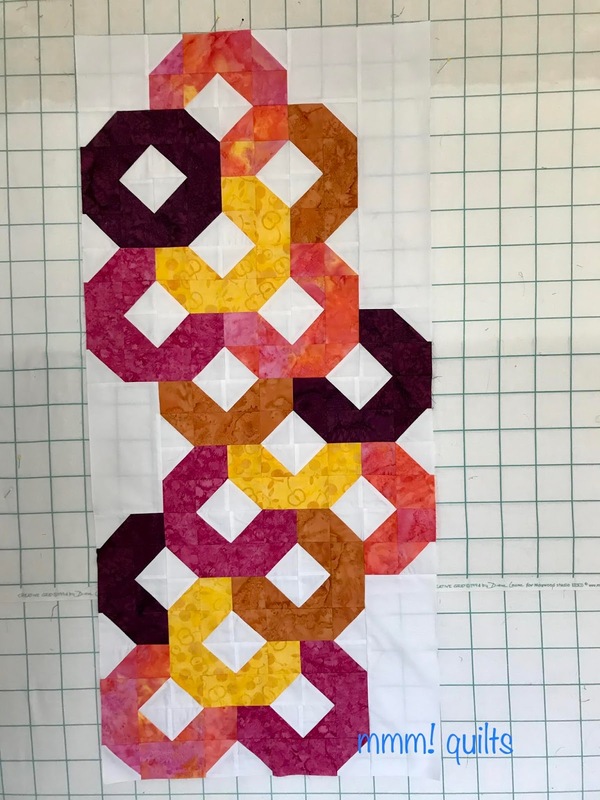 When I drew the design, I was thinking of the English Wedding ring block, and then I thought about overlapping, or layering them, and setting them off-centre, for that modern quilt feel, and leaving lots of negative space. 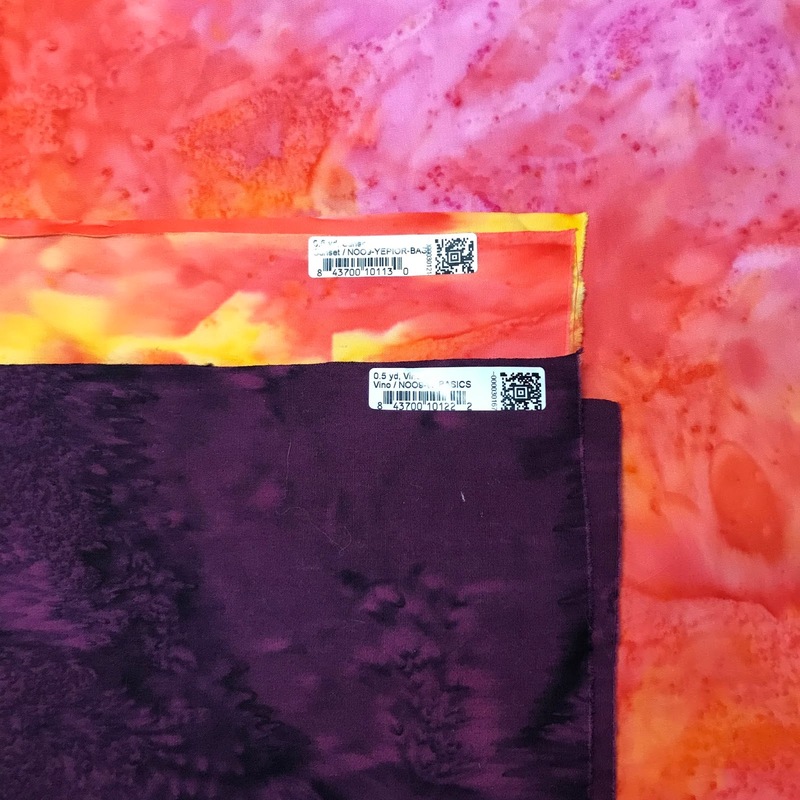 I pulled fabrics, auditioning a few oranges and pinks, putting them into monochromatic tone to ensure all flowed. I wasn't looking so much for value, but tones, that sunset glow. 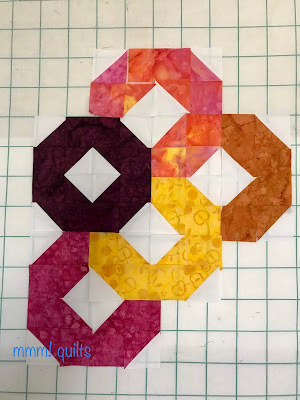 I used two strips from the packs, the pink and the yellow, combining them with the batik foundations yardage. I put this on Instagram when I was cutting for the project as I just love the depth in these two in particular, as well as their names, Vino and Sunset! Loving how the colours flow. 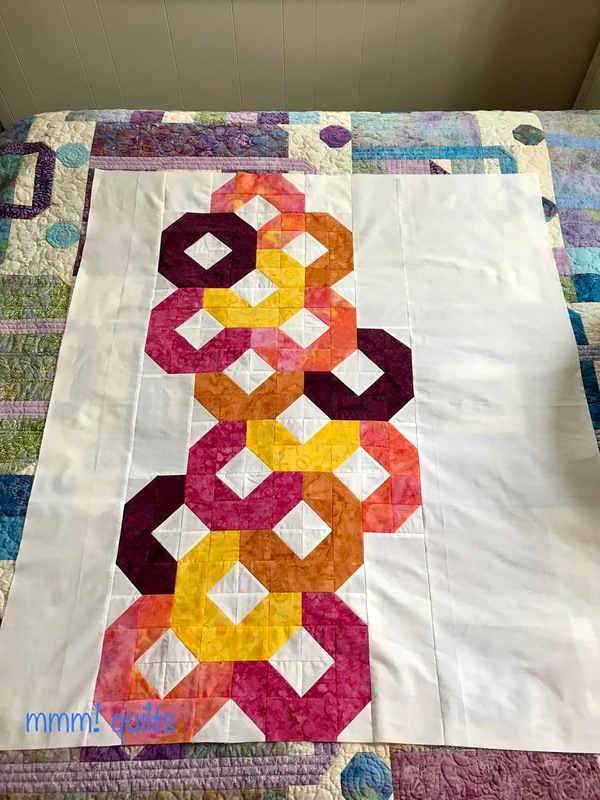 Hmm, this could be a table runner as is! However, that wasn't what was required, so add white on either side. 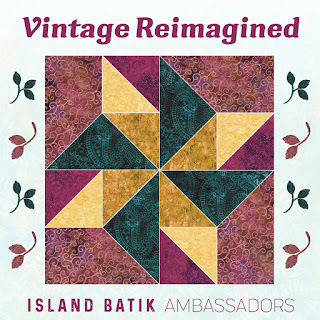 Love the white batik yardage; you really must find some! I wouldn't steer you wrong. Well, get some of the grey and the black when you do find it, as they're all wonderful. Pressed, trimmed and hung on 'the' fence. The wind helped plaster it to the rungs lol! Are you seeing grass greening up behind the quilt! Eeeek! Me too. Buds on the plant too! Now to load it and quilt the life into this cheery cheerio quilt! Yep, that's my 'Oh the Places You'll Go!' 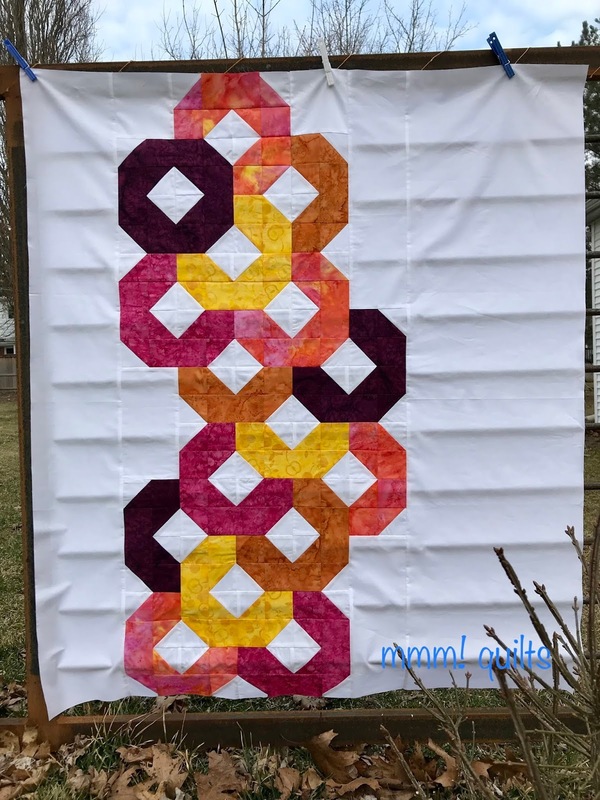 January challenge quilt. It has 100% Hobbs wool batting and I cannot tell you, but I will try, how lovely it is to sleep under. Ahhh! It is definitely not too late to join in the challenge this year. We have a smaller group, which I attribute to Instagram having been such a wonderful way to reach a lot of like-minded people in the previous two challenges, since we shared our designs there. I wish you could make private hashtag pools! 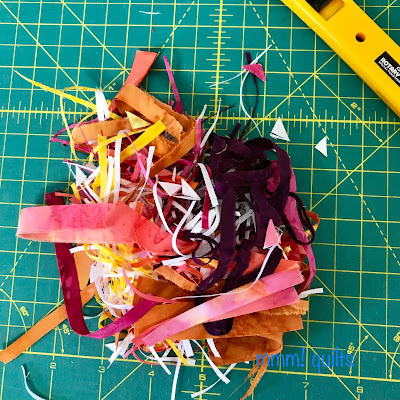 Ah well, shoot me an email or DM me on Instagram with your first design and I'll invite you to the FB private group. Click the graphic below to be taken to the post with all the deets and prizes list. I'm lining up some absolutely fabulous prizes for this, and I've put together some pretty wonderful kits available at Needle & Foot. I'll have all the details on April 3. 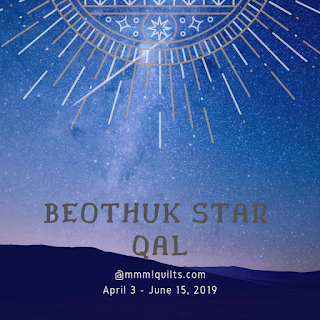 For now, clicking the graphic will take you to the preliminary basic details about the QAL, and you'll find photos of the two kits, three if you count the original Blogger Bundle I curated without the addition. 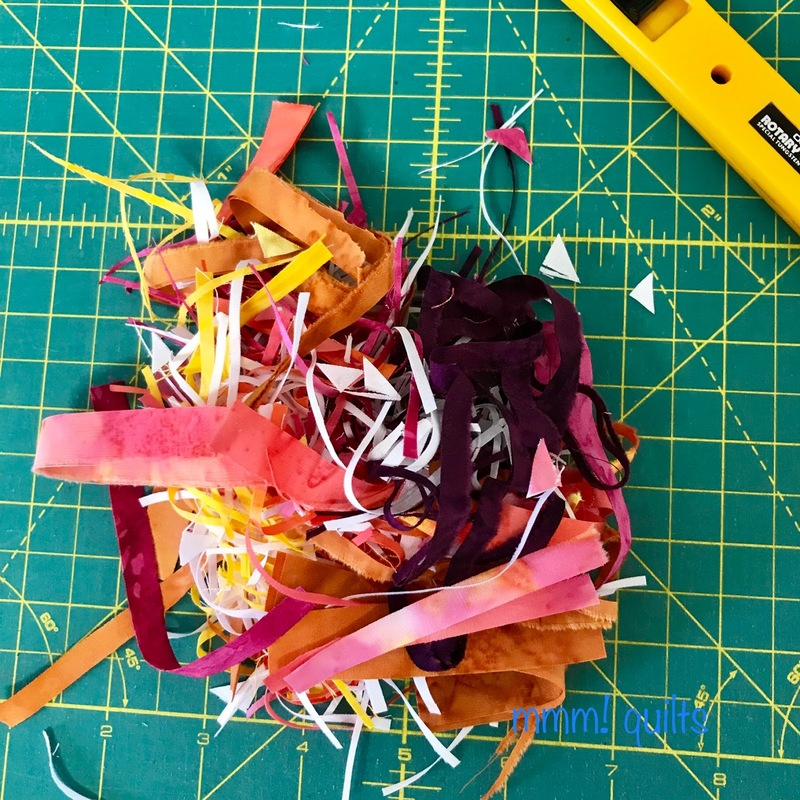 Amounts and cutting will be given for all three possibilities.